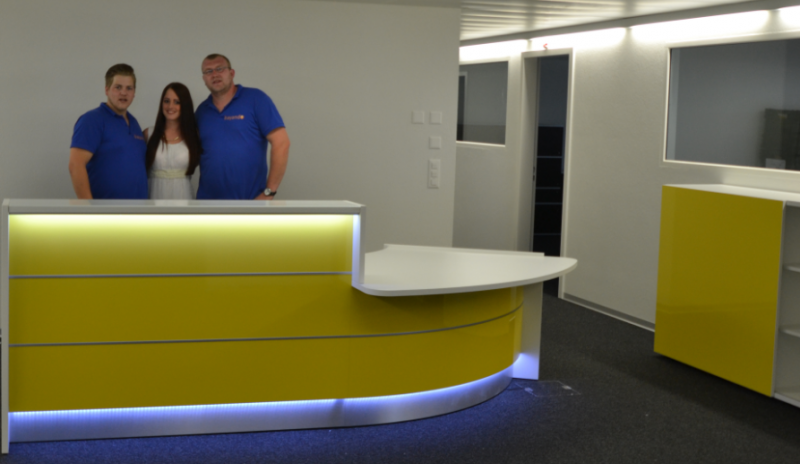 The daughter company of SwissMail PostAuto from Brig in Switzerland got yello highgloss furniture by Office Systems Stock. 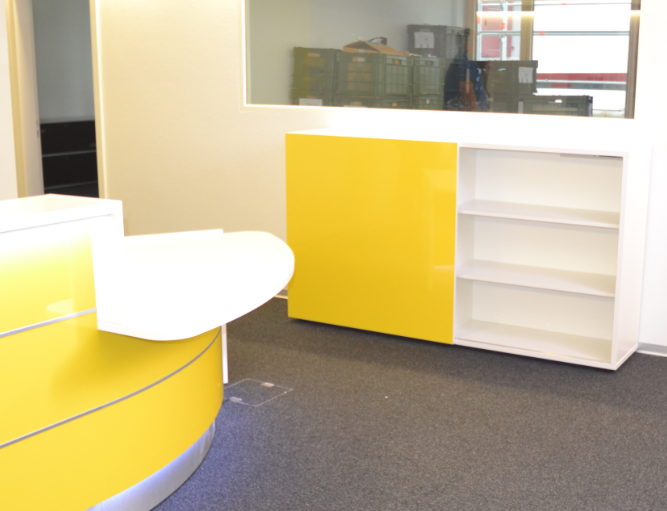 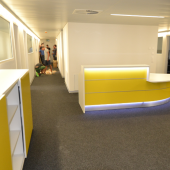 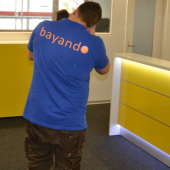 The reception and the carbinets received the color yello in highgloss to fit for their cooperate identity (CI). 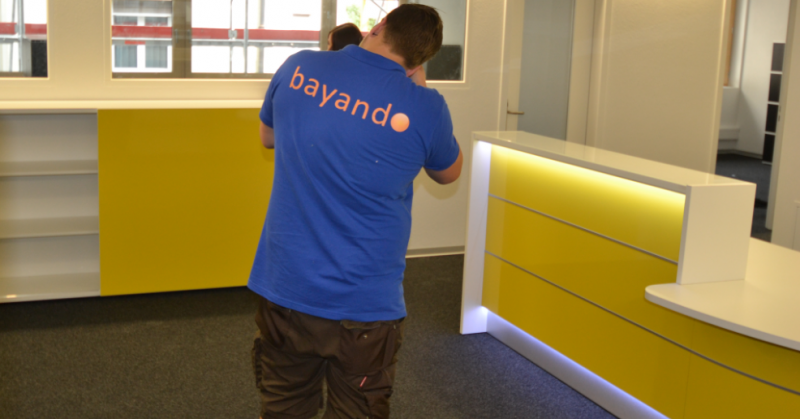 The delivery and the mountig had been done by us. 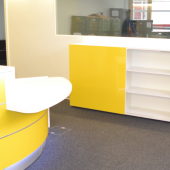 Reception desks, carbinets in many colors available check our color picker or feel free to ask. 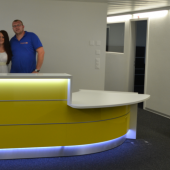 Delivery all over Europe and UK nationwide in between 14 working days.